Essential features to monitor business growth and performance. 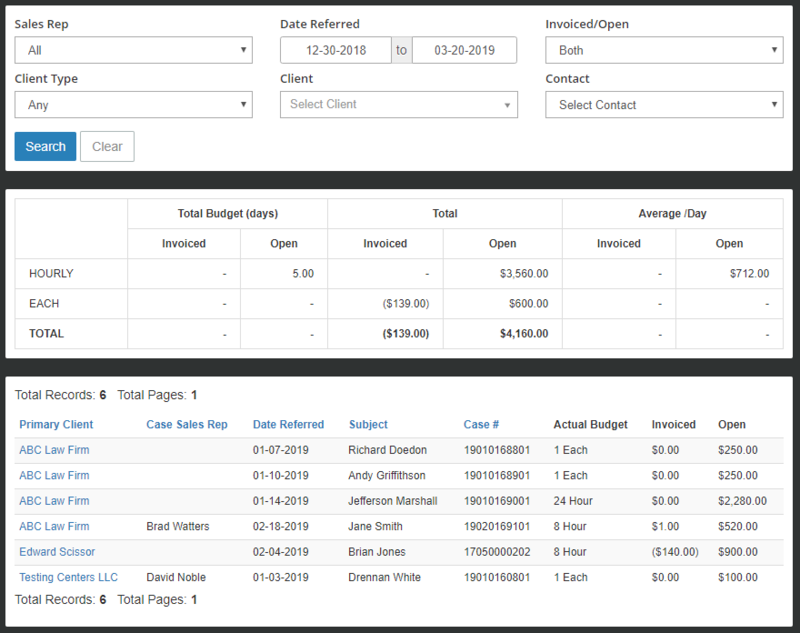 Run reports on all phases of your business. Review where your company excels and identify areas that need improvement. 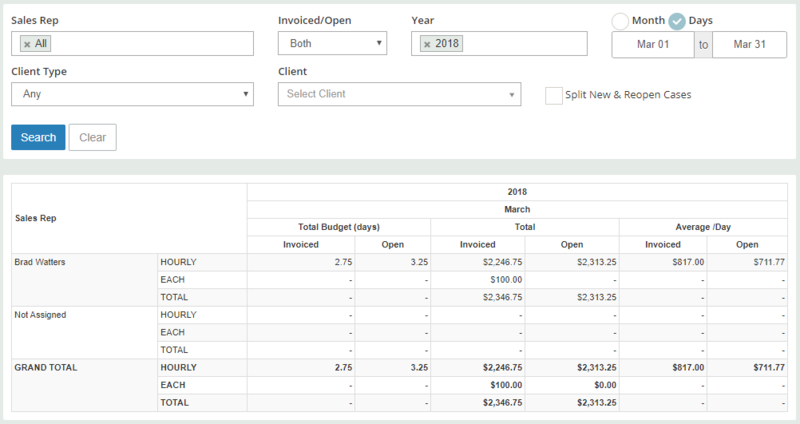 The company reporting feature provides easy to read reports. Utilize the built in CRM to capture a potential client’s information for follow up later on. The Customer Relationship Manager (CRM) can track leads, marketing activity, new opportunities and events like client meetings or conferences. What type of case is most requested? How many cases did XYZ assign last month? Were sales up from last month? Run these reports and hundreds more. See how much time staff are spending on certain tasks. Upload frequently used documents to an area and the investigators can access them when needed. Data you can use to improve and grow! Run powerful reports to view and evaluate performance. What type of cases are you getting most often? If you have a sales rep, what are they bringing in? Who is your most profitable client? What types of cases are assigned the most? Answer questions and see how your business is performing anytime.